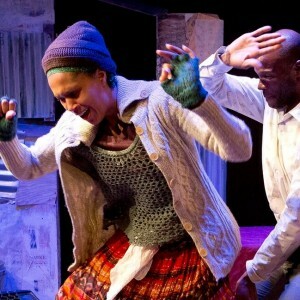 Hilariously heartbreaking, Ndebele Funeral pulls audiences into the music, dirt, and dreams of modern South Africa, by examining the aspirations and losses of three characters whose lives intersect in a Soweto shack. Smoke & Mirrors Collaborative’s powerfully physical production delves bravely into modern poverty, health care and violence, featuring original music and gumboot dancing from the mines of Jo’burg. Winner of FringeNYC Overall Excellence Award Best Play, Critics’ Pick Time Out NY.